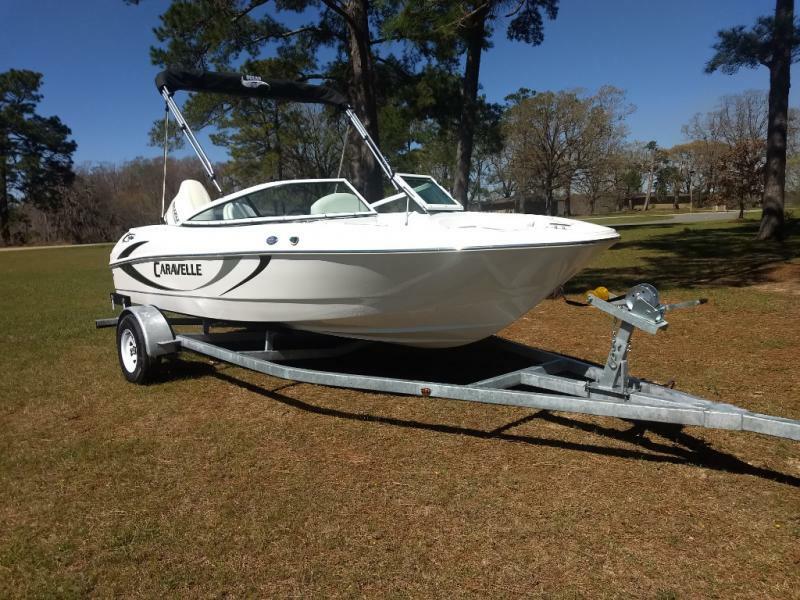 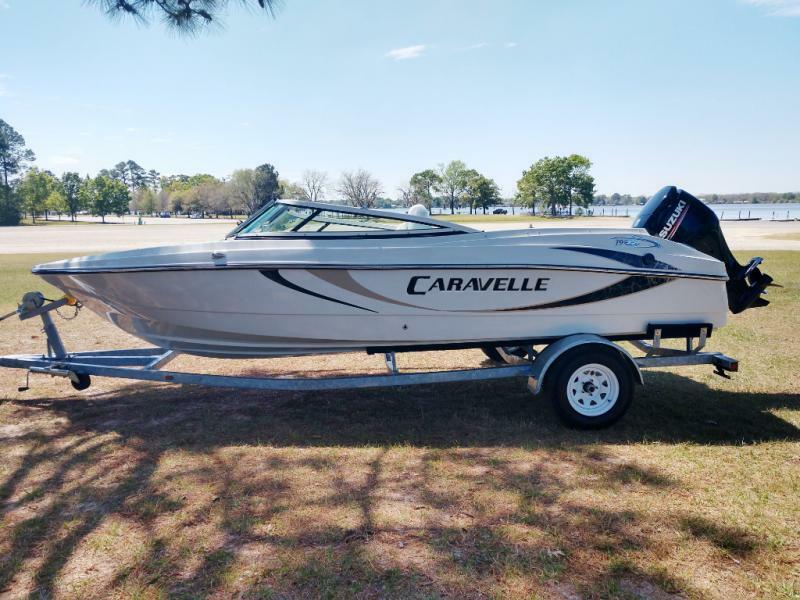 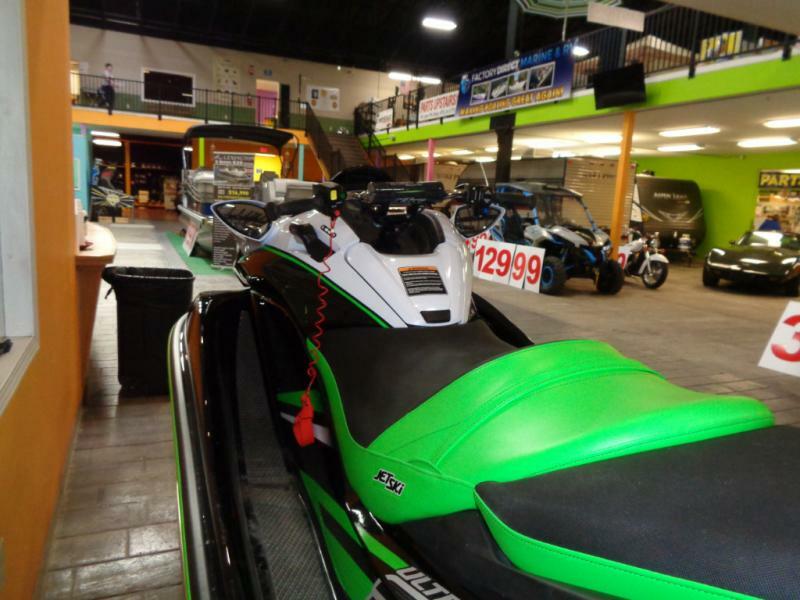 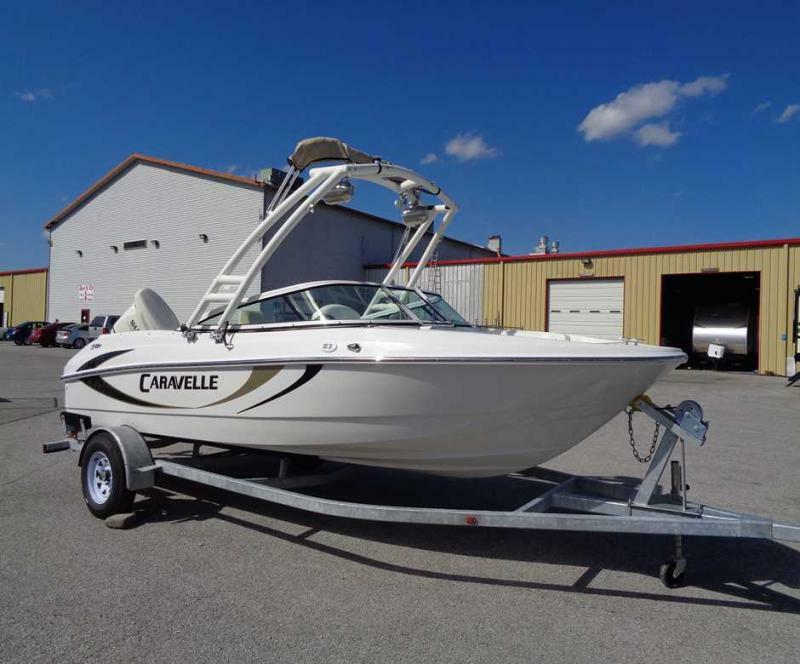 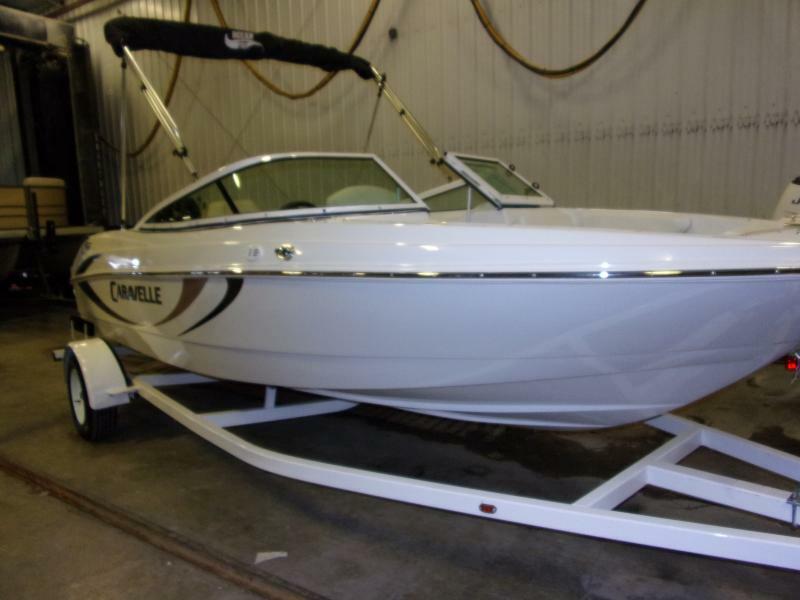 GET READY TO GO WAKEBOARDING BEHIND THIS BEAUTIFUL BOAT. 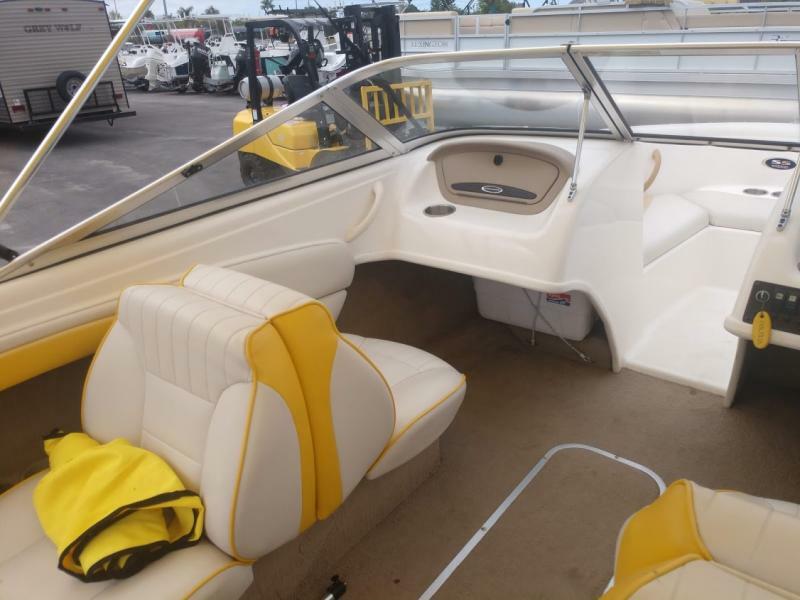 THIS BOAT IS SHOWN IN A WHITE WITH YELLOW ACCENTS. 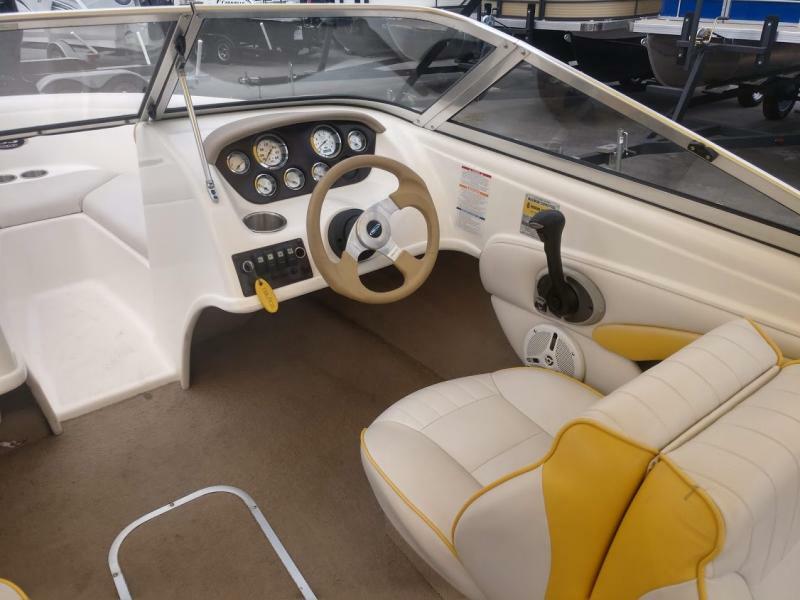 THE YELLOW ACCENTS FLOW THROUGHOUT THE BOAT TO INCLUDE THE INTERIOR. 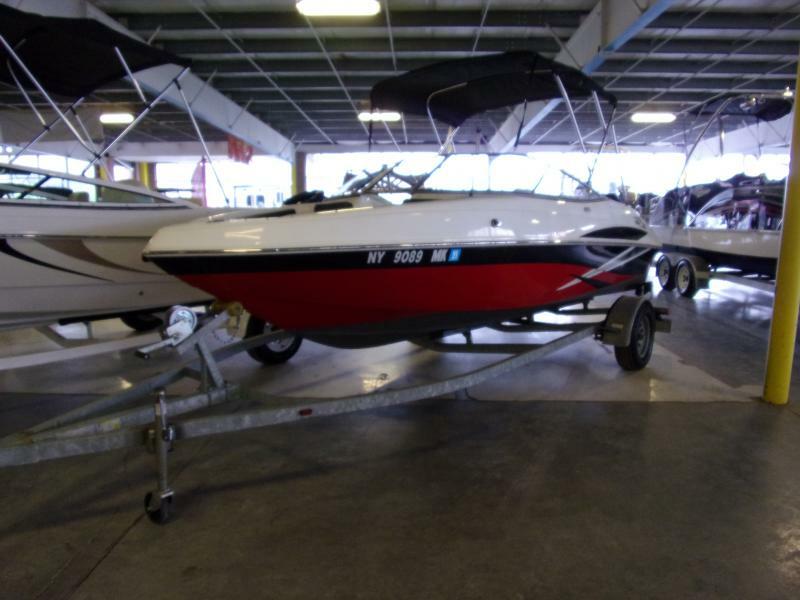 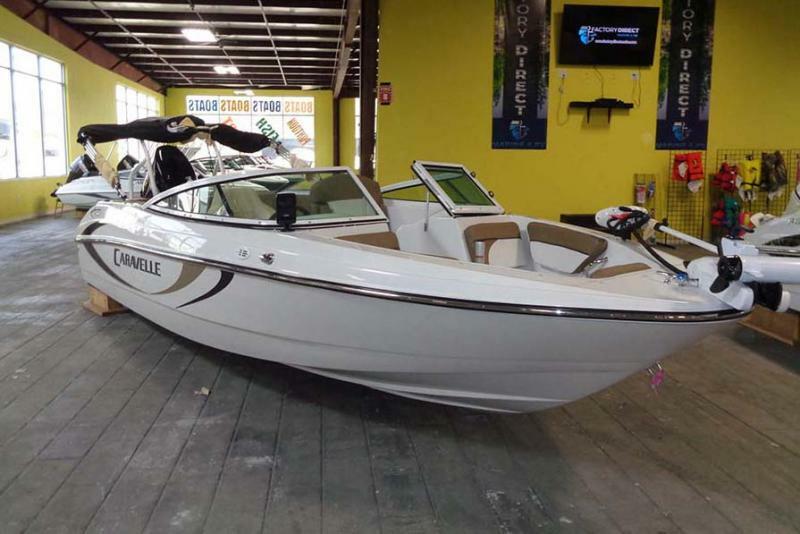 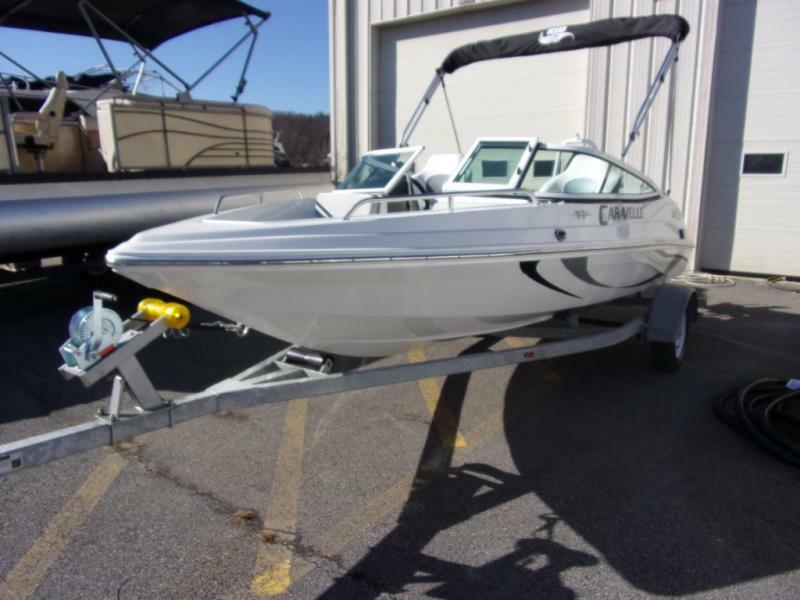 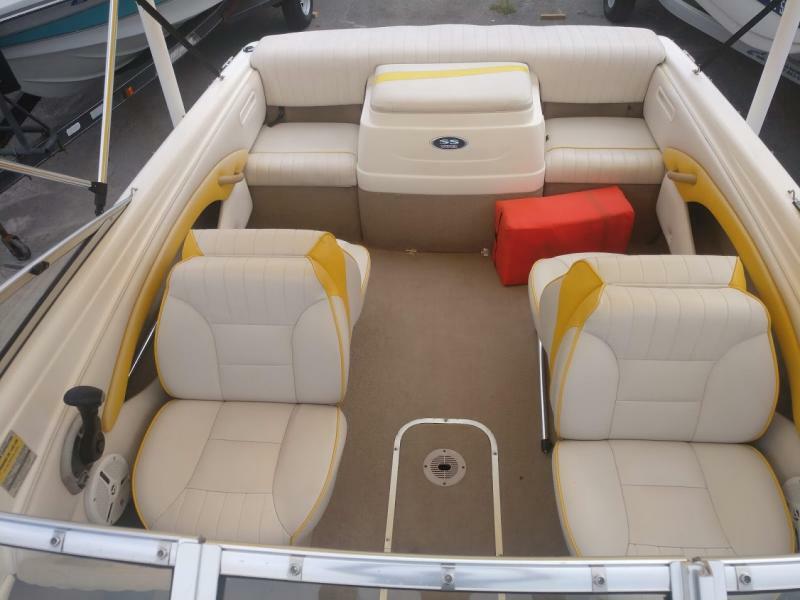 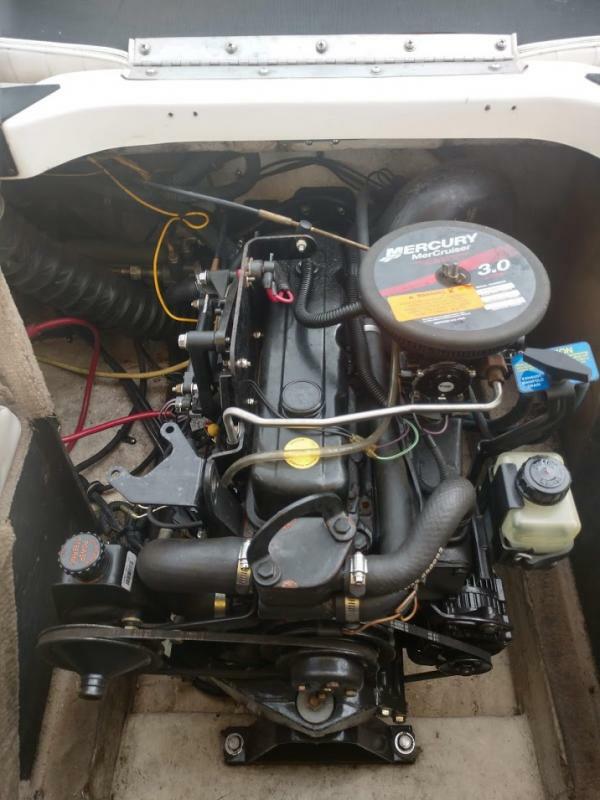 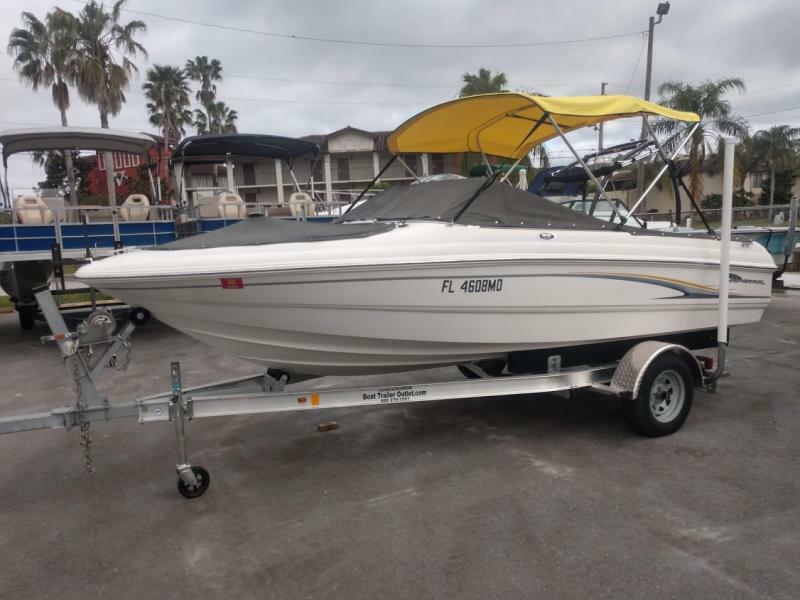 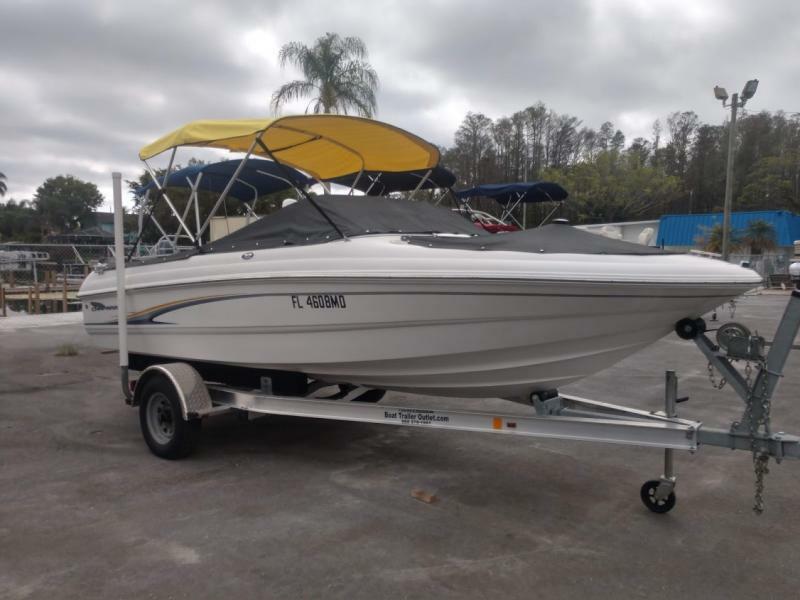 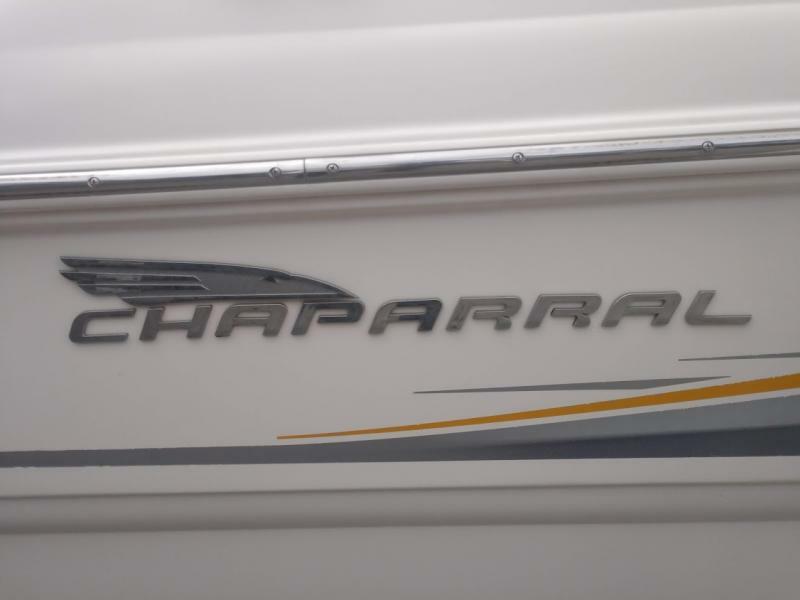 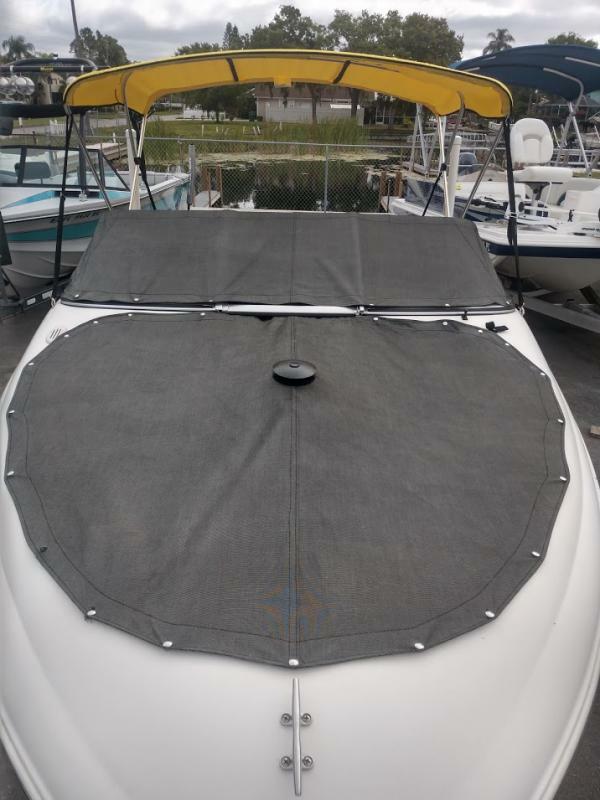 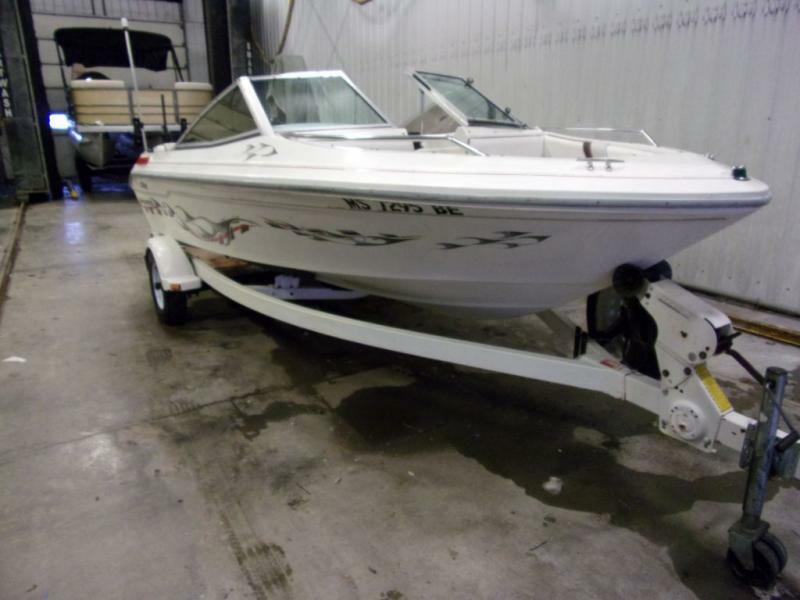 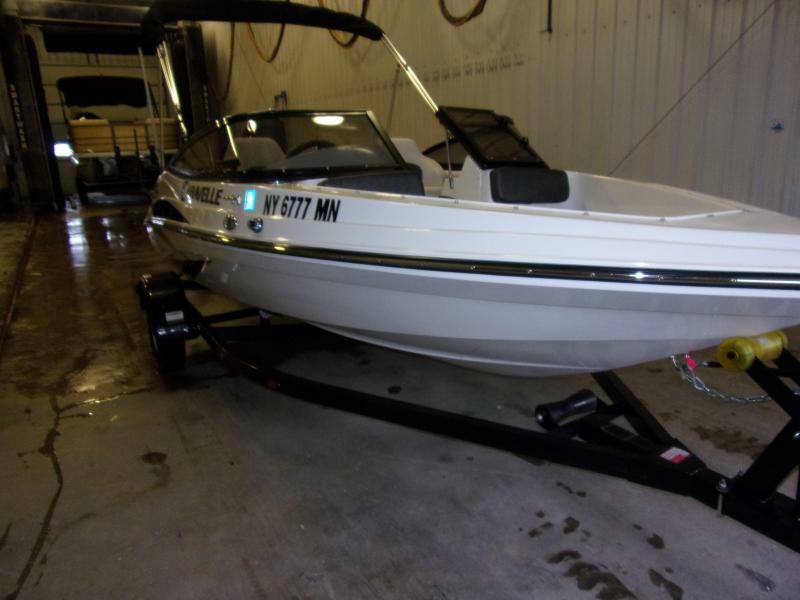 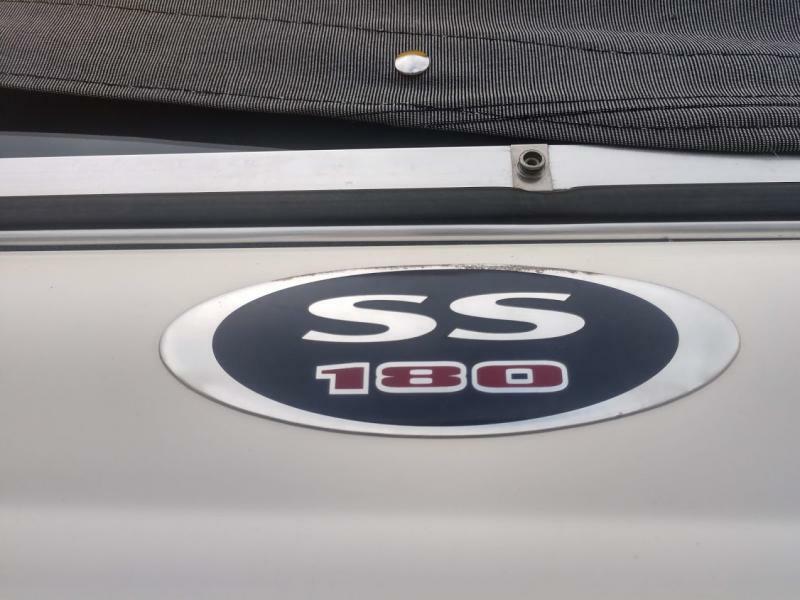 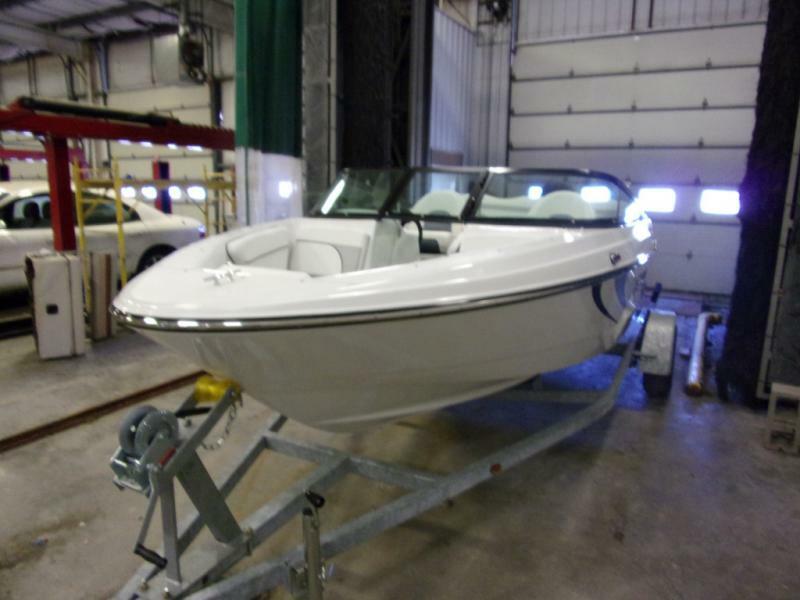 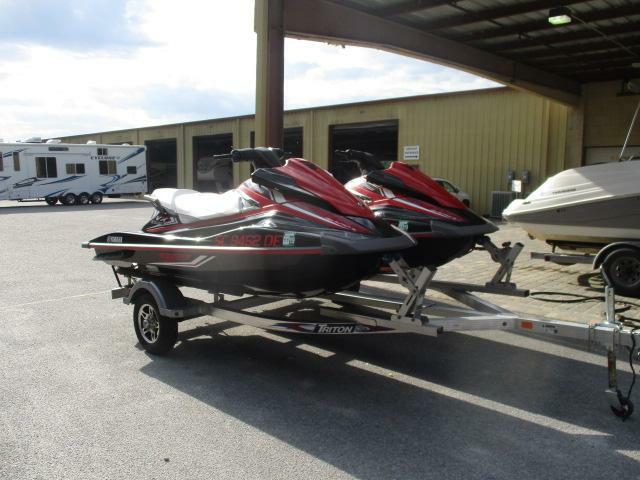 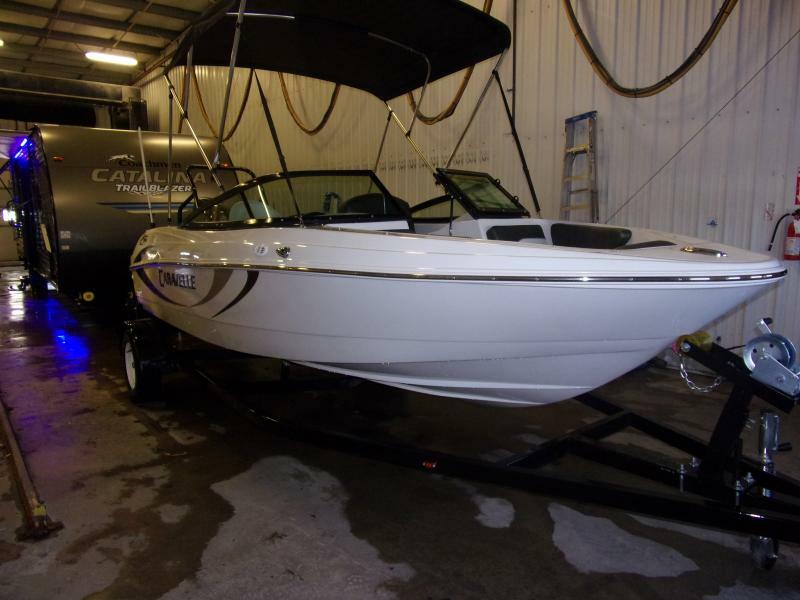 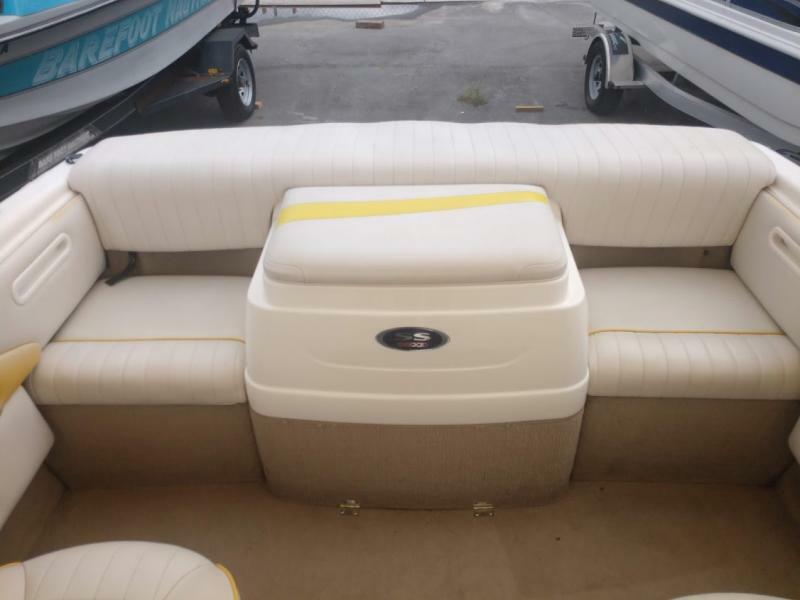 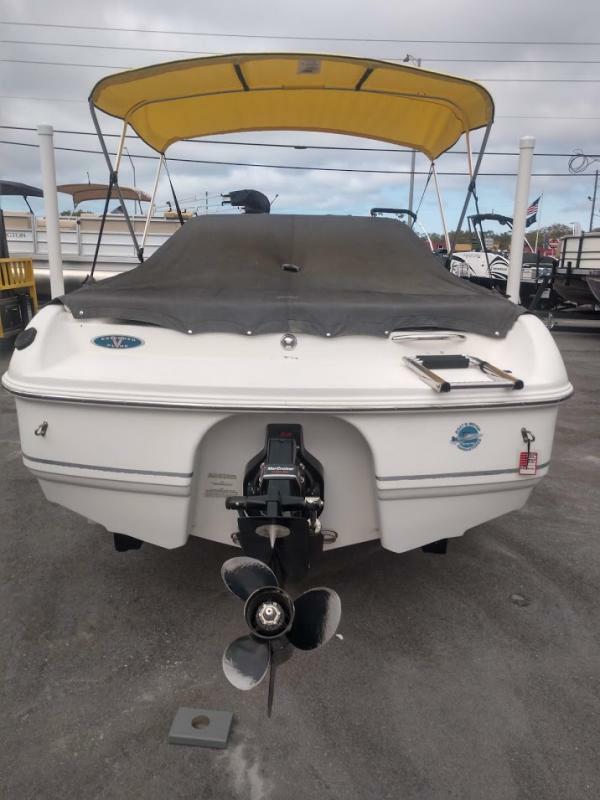 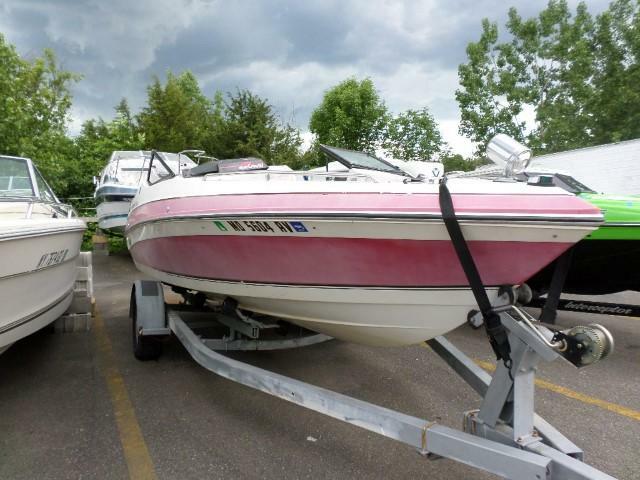 THIS BOAT IS WATER READY AND HAS A 135HP MERCURY 3.0L. 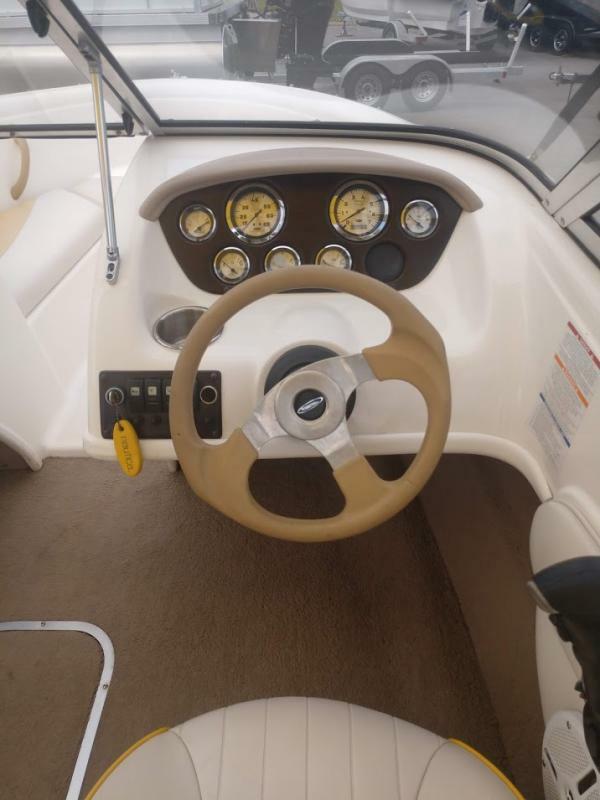 Key Features • Dura-Life Max premium cockpit upholstery •Premium sound system: Sirius Satellite Ready, AM/FM CD Player •Seating Hi/Low jump seats convert to sundeck •Intergrated fiberglass swim platform with ladder •Stainless steel wraparound walk-thru three piece windshield •Stainless steel hardware throughout •Woodgrain dashboard •Mahogany steering wheel Specifications Length Overall Beam 18 3 7 2 Dry Weight Draft 2100 lbs. 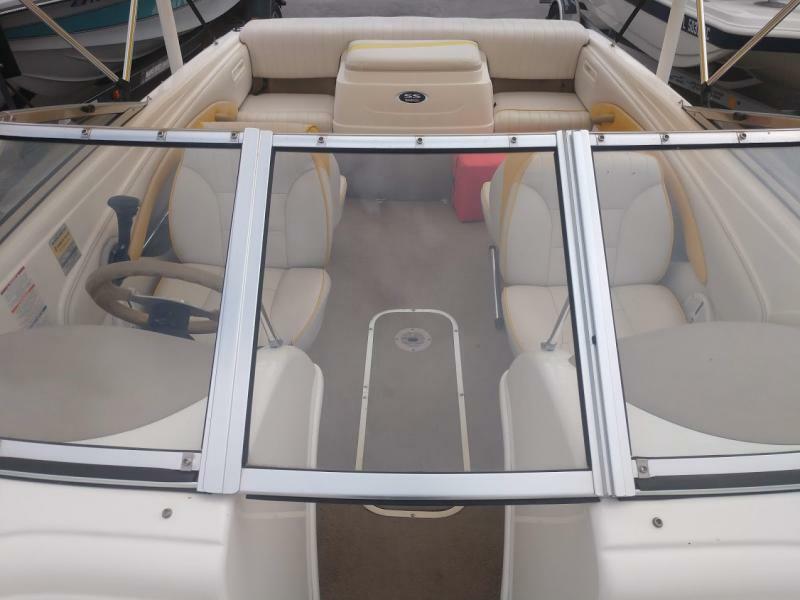 36 Deadrise/Transom 20 deg. 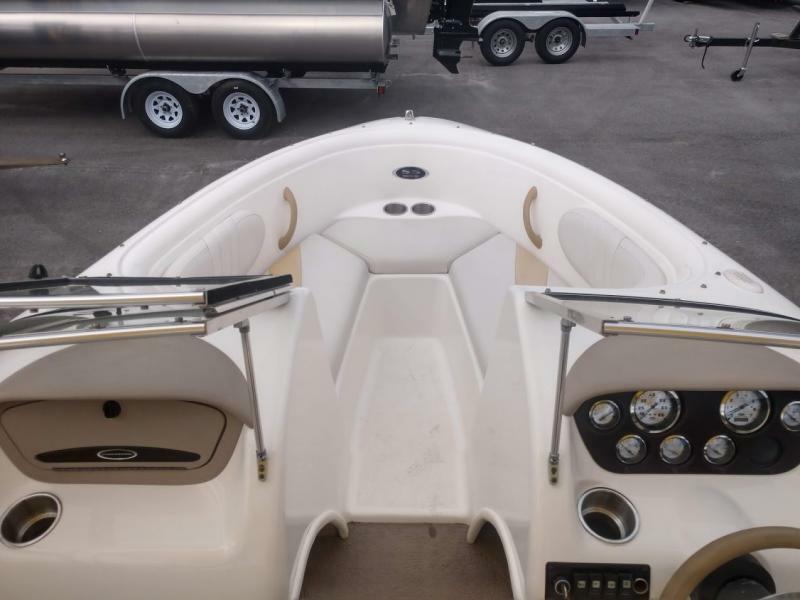 Max Headroom Open Bridge Clearance 4 4 Fuel Capacity 23 gal.